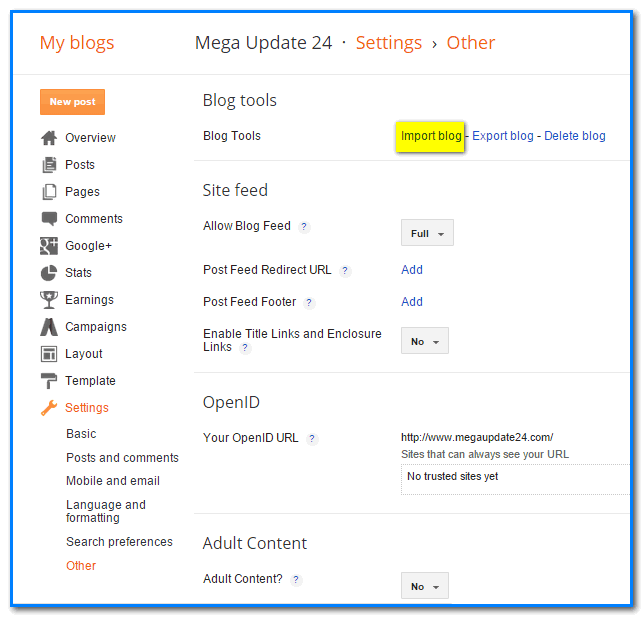 Blogger Templates is very powerful but it is sensitive from CMS(Content Management System). When you are a Blogger(Blogspot) user you need to Edit HTML obviously cause when setup you're On page SEO tag, Setup your Blogger's Widget, Setup your page number navigation with HTML and CSS code you must need edit Template codes. So, before you edit your Template HTML you should Backup it. Today I will showing you how to Backup Blogger templates and Restore it with two steps. You follow this steps, Let's see how to do it easily. First you need to go Blogger Dashboard. Now click on "other" like bellow image. Then second click on "Export blog". Now click "Download Blog" then you can see you blog is downloading to your computer. 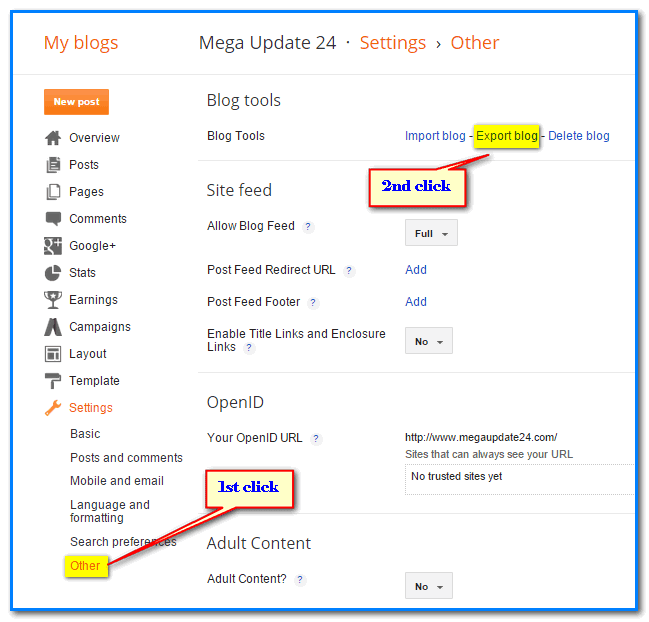 This way you can simply Download or Backup your blog. Now we will see how to Restore it step by step this way is so easy. Follow those rules. 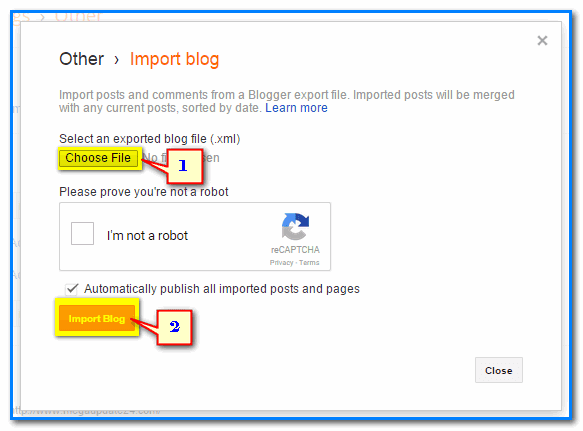 You do everything like before just click on "Import blog" like bellow. Then you can see a popup button now click on "Choose File" first and select the backup file which you downloaded on your computer. Second click on "Upload". Now you are done. Hopefully, you can be learned successfully how to Backup Blogger Blog Templates and Restore it from this tutorial. If you face any trouble please don't forget comment bellow. I will try to help you and must share this article in Facebook, twitter, and Google+.